QoS-Aware Cloud Service Composition Using Time Series. Ye, Zhen (1); Bouguettaya, Athman (2); Zhou, Xiaofang (1). 1: University of Queensland, Australia; 2: Royal Melbourne Institute of Technology, Australia. QoS Analysis in Heterogeneous Choreography Interactions. Kattepur, Ajay; Georgantas, Nikolaos; Issarny, Valerie. INRIA, France. Improving Interaction with Services via Probabilistic Piggybacking. Ghezzi, Carlo (2); Pezze, Mauro (1); Tamburrelli, Giordano (1). 1: Università della Svizzera Italiana, Switzerland; 2: Politecnico di Milano, Italy. Runtime Enforcement of First-order LTL Properties on Data-aware Business Processes. De Masellis, Riccardo (1); Su, Jianwen (2). 1: Sapienza, University of Rome, Italy; 2: University of California at Santa Barbara. QoS-aware Service VM Provisioning in Clouds: Experiences, Models, and Cost Analysis. Bjoerkqvist, Mathias (1); Spicuglia, Sebastiano (1); Chen, Lydia Y. (1); Binder, Walter (2). 1: IBM Research Zurich Lab, Switzerland; 2: University of Lugano, Switzerland. Personalized Quality Prediction for Dynamic Service Management based on Invocation Patterns. Zhang, Li (2); Zhang, Bin (2); Pahl, Claus (1); Xu, Lei (1); Zhu, Zhiliang (2). 1: Dublin City University, Ireland; 2: Northeastern University, Shenyang, China. Open Source Versus Proprietary Software in Service-Orientation: The Case of BPEL Engines Harrer, Simon; Lenhard, Jörg; Wirtz, Guido. Distributed Systems Group, University of Bamberg, Germany. Detection of SOA Patterns DEMANGE, Anthony; MOHA, Naouel; TREMBLAY, Guy. Université du Québec à Montréal, Canada. Optimal Strategy for Proactive Service Delivery Management Using Inter-KPI Influence Relationships. Dasgupta, Gargi B.; Shrinivasan, Yedendra; Nayak, Tapan; Nallacherry, Jayan. IBM Research, India. On-the-Fly Adaptation of Dynamic Service-based Systems: Incrementality, Reduction and Reuse Bucchiarone, Antonio; Marconi, Annapaola; Mezzina, Claudio Antares; Pistore, Marco; Heorhi, Raik. Fondazione Bruno Kessler, Trento, Italy. WT-LDA: User Tagging Augmented LDA for Web Service Clustering. Chen, Liang (1); Wang, Yilun (1); Yu, Qi (2); Zheng, Zibin (3); Wu, Jian (1). 1: Zhejiang University, China, People's Republic of; 2: Rochester Institute of Technology, USA; 3: The Chinese University of Hong Kong, HK. Does _One-Size-Fit-All_ Suffice for Service Delivery Clients? Agarwal, Shivali; Sindhgatta, Renuka; Dasgupta, Gargi. IBM Research, India. Runtime Evolution of Service-based Multi-tenant SaaS Applications. Kumara, Indika Priyantha; Han, Jun; Colman, Alan; Kapuruge, Malinda. Swinburne University of Technology, Australia. Critical Path-Based Iterative Heuristic for Workflow Scheduling in Utility and Cloud Computing. Cai, Zhicheng (1); Li, Xiaoping (2); Gupta, Jatinder N. D. (3). 1: Southeast University, China, People's Republic of; 2: Southeast University, China, People's Republic of; 3: College of Business Administration, University of Alabama in Huntsville, Huntsville, USA. REFlex: An Efficient Web Service Orchestrator for Declarative Business Processes. Silva, Natália Cabral; Carvalho, Renata Medeiros de; Oliveira, Cesar Augusto Lins de; Lima, Ricardo Massa Ferreira. Federal University of Pernambuco, Brazil. Tasks Scheduling Optimization in Cloud Computing Using Multi-Objective Particle Swarm Optimization. Ramezani, Fahimeh; Lu, Jie; Hussain, Farookh. University of Technology, Sydney, Australia. Verification of Artifact-Centric Systems: Decidability and Modeling Issues Solomakhin, Dmitry (1); Montali, Marco (1); Tessaris, Sergio (1); De Masellis, Riccardo (2). 1: Free University of Bozen-Bolzano, Italy; 2: Sapienza Universita` di Roma, Italy. Automatically Composing Services by Mining Process Knowledge from the Web. Upadhyaya, Bipin (1); Zou, Ying (1); Wang, Shaohua (1);Joanna Ng (2). 1: Queen's University, Canada. 2: IBM Canada Software Laboratory. Batch Activities in Process Modeling and Execution. Pufahl, Luise; Weske, Mathias. University of Potsdam, Germany. Multi-Objective Service Composition Using Reinforcement Learning. Moustafa, Ahmed; Zhang, Minjie. University of wollongong, Australia. Provisioning Quality-aware Social Compute Units in the Cloud. Candra, Muhammad Zuhri Catur; Truong, Hong-Linh; Dustdar, Schahram. Vienna University of Technology, Austria. Process Discovery Using Prior Knowledge. Rembert, Aubrey; Omokpo, Amos; Mazzoleni, Pietro; Goodwin, Richard. IBM T. J. Watson Research Center, United States of America. Mirror, Mirror, on the Web, which is the most reputable service of them all? --- A Domain-aware and Reputation-aware Method for Service Recommendation. Huang, Keman (1); Yao, Jinhui (2); Fan, Yushun (1); Tan, Wei (3); Nepal, Surya (4); Ni, Yayu (1); Chen, Shiping (4). 1: Department of Automation, Tsinghua University, Beijing 100084, China; 2: School of Electrical and Information Engineering, University of Sydney, Australia; 3: IBM Thomas J. Watson Research Center, Yorktown Heights, NY 10598, USA; 4: Information Engineering Laboratory, CSIRO ICT Centre, Australia. Service Discovery from Observed Behavior While Guaranteeing Deadlock Freedom in Collaborations. Müller, Richard (1,2); Stahl, Christian (2); Aalst, Wil M. P. van der (2,3); Westergaard, Michael (2,3). 1: Institut für Informatik, Humboldt-Universität zu Berlin, Germany; 2: Department of Mathematics and Computer Science, Technische Universiteit Eindhoven, The Netherlands; 3: National Research University Higher School of Economics, Moscow, Russia. Priority-Based Human Resource Allocation in Business Processes. Cabanillas, Cristina (1); García, José María (2); Resinas, Manuel (3); Ruiz, David (3); Mendling, Jan (1); Ruiz-Cortés, Antonio (3). 1: Vienna University of Economics and Business, Austria; 2: University of Innsbruck, Austria; 3: University of Seville, Spain. Prediction of Remaining Service Execution Time using Stochastic Petri Nets with Arbitrary Firing Delays. Rogge-Solti, Andreas; Weske, Mathias. Hasso-Plattner-Institut, Germany. Entity-Centric Search For Enterprise Services. Roy, Marcus (1,3); Weber, Ingo (2,3); Benatallah, Boualem (3). 1: SAP Research, Sydney; 2: NICTA, Sydney; 3: University Of New South Wales, Australia. Tactical Service Selection with Runtime Aspects. Ramacher, Rene; Mönch, Lars. University of Hagen, Germany. Online Reliability Time Series Prediction for Service-Oriented System of Systems. Wang, Lei (1); Wang, Hongbing (1); Yu, Qi (3); Sun, Haixia (1); Bouguettaya, Athman (2). 1: Southeast University, China, People's Republic of; 2: School of Computer Science and Information Technology, RMIT, Australia; 3: Coll. of Computing and Information Science, Rochester Institute of Technology, USA. Multi-level Elasticity Control of Cloud Services. Copil, Georgiana; Moldovan, Daniel; Truong, Hong-Linh; Dustdar, Schahram. Distributed Systems Group, Vienna University of Technology. Reasoning on UML Data-Centric Business Process Models. Estañol, Montserrat; Sancho, Maria-Ribera; Teniente, Ernest. Universitat Politècnica de Catalunya, Spain. QoS-aware multi-granularity service composition based on generalized component services. Wu, Quanwang; Zhu, Qingsheng; Jian, Xing. Chongqing University, China, People's Republic of. Evaluating Cloud Services using a Multiple Criteria Decision Analysis Approach. Costa, Pedro Miguel (1); Lourenço, João Carlos (2); Mira da Silva, Miguel (1). 1: Department of Computer Science and Engineering, Instituto Superior Técnico, Technical University of Lisbon, Lisbon, Portugal; 2: Centre for Management Studies of IST (CEG-IST), Instituto Superior Técnico, Technical University of Lisbon, Lisbon, Portugal. An Approach for Compliance-aware Service Composition with Genetic Algorithms. Karatas, Fatih (1); Kesdogan, Dogan (2). 1: University of Siegen, Germany; 2: University of Regensburg. Decomposing Ratings in Service Compositions. Silva, Icamaan (1); Zisman, Andrea (2). 1: City University London, United Kingdom; 2: The Open University, United Kingdom. Automatic Generation of Test Models for Web Services using WSDL and OCL. López, Macías (1); Ferreiro, Henrique (1); Francisco, Miguel Ángel (2); Castro, Laura M. (1). 1: MADS Research Group, Universidade da Coruña, Spain; 2: Interoud Innovation SL, Spain. An Incentive Mechanism for Game-based QoS-aware Service Selection. Wang, Puwei; Du, Xiaoyong. Key Laboratory of Data Engineering and Knowledge Engineering of Ministry of Education, Renmin University of China. Goal oriented variability modeling in service- based business processes. Ponnalagu, Karthikeyan (1,3); Narendra, Nanjangud (2); Ghose, Aditya (3); Chiktey, Neeraj (1,4); TamilSelvam, Srikanth (1). 1: IBM Research - India, Bangalore; 2: IBM Software Lab - India, Bangalore; 3: University of Wollongong, Australia; 4: International Institute of Information Technology, Hyderabad, India. A Cooperative Management Model for Volunteer Infrastructure as a Service in P2P Cloud. Li, Jiangfeng; Zhang, Chenxi. School of Software Engineering, Tongji University, People's Republic of China. Process Refinement Validation and Explanation with Ontology Reasoning. Ren, Yuan (2); Groener, Gerd (1); Lemcke, Jens (3); Rahmani, Tirdad (3); Friesen, Andreas (3); Zhao, Yuting (2); Pan, Jeff (2); Staab, Steffen (1). 1: University of Kobelnz-Landau, Germany; 2: University of Aberdeen, UK; 3: SAP Research, Germany. Automated Service Discovery and Composition for On-The-Fly SOAs. Huma, Zille (1); Gerth, Christian (1); Engels, Gregor (1); Juwig, Oliver (2). 1: University of Paderborn, Germany; 2: HRS-Hotel Reservation Service, Germany. Deriving Business Process Data Architectures from Process Model Collections. Eid-Sabbagh, Rami-Habib; Hewelt, Marcin; Meyer, Andreas; Weske, Mathias. Hasso Plattner Institute, University of Potsdam, Germany. A Case Management Approach to Serve Information Needs In Knowledge Intensive Processes. Mukherjee, Debdoot (1); Blomberg, Jeanette (2); Akkiraju, Rama (2); Raghu, Dinesh (1); Gupta, Monika (1); Ghosal, Sugata (1); Qiao, Mu (2); Nakamura, Taiga (2). 1: IBM Research - India; 2: IBM Research, Almaden Research Center,USA. Patience-aware Scheduling for Cloud Services: Freeing Users from the Chains of Boredom. Cardonha, Carlos (1); Dias de Assuncao, Marcos (1); Stelmar Netto, Marco (1); Freitas Cunha, Renato (1); Queiroz, Carlos (2). 1: IBM Research, Brazil; 2: IBM Research, Australia. MaxInsTx: A Best-effort Failure Recovery Approach for Artifact-centric Business Processes. Qin, Haihuan; Kang, Guosheng; Guo, Lipeng. Fudan University, China, People's Republic of. Extending WS-Agreement to Support Automated Conformity Check on Transport & Logistics Service Agreements. Gutierrez, Antonio Manuel (1); Cassales Marquezan, Clarissa (2); Resinas, Manuel (1); Metzger, Andreas (2); Ruiz-Cortés, Antonio (1); Pohl, Klaus (2). 1: Universidad de Sevilla, Spain; 2: University of Duisburg-Essen, Essen, Germany. Automatic Composition of Form-Based Services in a Context-Aware Personal Information Space. Khéfifi, Rania (1); Poizat, Pascal (2); Saïs, Fatiha (1). 1: LRI (Paris-Sud University & CNRS), France; 2: LIP6, CNRS and Paris Ouest Nanterre La Defense University. Synthesizing cost-minimal partners for services. S	rmeli, Jan; Triebel, Marvin. 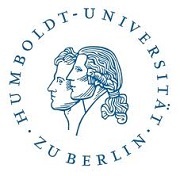 Humboldt-Universität zu Berlin, Germany. An architecture to provIde quality of service in OGC SWE Context. Tavares, Thiago Caproni; Santana, Regina Helena Carlucci; Santana, Marcos José; Estrella, Júlio Cezar. Institute of Mathematics and Computer Science, Brazil. Verification of Semantically-Enhanced Artifact Systems. Bagheri Hariri, Babak; Calvanese, Diego; Montali, Marco; Santoso, Ario; Solomakhin, Dmitry. Free University of Bozen-Bolzano, Italy. A Framework for Cross Account Analysis. Sreedhar, Vugranam. IBM Research, United States of America. DataSheets: A Spreadsheet-based Data-Flow Language. Lagares Lemos, Angel; Chai Barukh, Moshe; Benatallah, Boualem. University of New South Wales, Australia. Decision Making in Crowdsourcing Services. Vukovic, Maja; Das, Rajarshi. IBM T.J. Watson Research, United States of America. Towards Optimal Risk-aware Security Compliance of a Large IT System. Coffman, Daniel Mark; Agrawal, Bhavna; Schaffa, Frank. IBM Corporation, United States of America. Behavioral Analysis of Service Delivery Models. Dasgupta, Gargi B.; Sindhgatta, Renuka; Agarwal, Shivali. IBM Research, India. A Novel Service Composition Approach for Application Migration to Cloud. Wang, Xianzhi (1,2); Zhuo, Xuejun (1); Yang, Bo (1); Meng, Fanjing (1); Jin, Pu (1); Huang, Woody (3); Young, Christopher C. (3); Zhang, Catherine (3); Xu, Jingmin (1); Montinarelli, Michael (4). 1: IBM Research - China; 2: Harbin Institute of Technology; 3: IBM Research - Watson; 4: IBM Global Technology Services. Testing of Distributed Service-oriented Systems. Faris Nizamic. A Context-Aware Access Control Framework for Software Services. A.S.M. Kayes. A Novel Approach towards a Dynamic Declarative Service Workflow Reference Model. Damian Clarke. Towards the Automated Synthesis of Data Dependent Service Controllers. Franziska Bathelt-Tok. Multi-Agent Approach for Managing Workflows in an Inter-Cloud Environment. Sofiane Bendoukha. Description and Composition of Services Towards the Web-Telecom Convergence. Terence Ambra. An Information-centric System for Building the Web of Things. Stefano Turchi. Automation of SLA Life-cycle in Cloud Computing. Waheed Aslam Ghumman.